Businessmen and high stakes poker players, Richard Yong and Paul Phua, have each decided to employ different legal strategies in their ongoing illegal sports betting case. Both men were arrested earlier this year after the FBI raided their suits inside Caesars Palace, Las Vegas, and found what they suspected to be an illegal World Cup betting ring worth hundreds of millions. At the time, the group denied the charges, but earlier this week it was revealed that five men are planning to plead guilty to certain offences. Among those set to hand in his plea today is Yong. 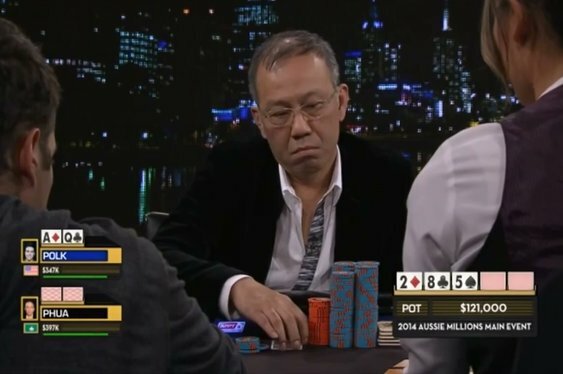 The Macau Big Game regular and multi-millionaire will plead guilty to a misdemeanour and should receive a probationary sentence from US District Judge Andrew Gordon. Charges against Yong's son, Wai Kin Yong have been dismissed. In contrast, Phua, who is accused of masterminding the operation, plans to fight the charges. In an effort to bolster the case against him, prosecutors are seeking to recover $13 million from seven defendants. However, despite their efforts, Phua's lawyers, David Chesnoff and Thomas Goldstein, have argued that the FBI recklessly submitted inaccurate information claiming that Phua was part of the criminal organisation, the Triads. With millions of dollars on the line, as well as Phua's liberty, the case is expected to take many months to resolve. In fact, hundreds of pages of testimony and evidence have already been submitted by both parties in a bid to win the legal battle.